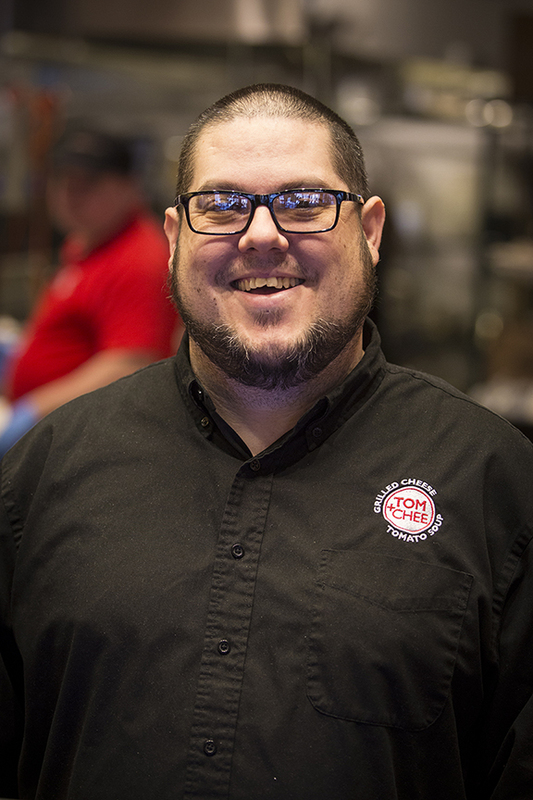 Founder Trew Quackenbush is Tom+Chee’s President and oversees training and operations for T+C’s corporate and franchise stores. Trew began working in restaurants at the age of 15. His first position was at a family burger restaurant in San Diego, Trew became a corporate trainer within a year. He then moved to another California based family restaurant, where, after learning most of the positions from busboy to line cook, he was promoted to Restaurant Manager at 23. The company moved him to Las Vegas, Nevada where his passion for food was unlocked. Later, he moved on to a fine-dining restaurant in Seattle, taking a step back from management to focus on cooking. He manned the grill and broiler stations cooking over a wood fire, then rose to kitchen lead and prep coordinator. He learned ordering and budgeting, and everything he could from the Executive and Sous Chefs working with and around him. After a summer in Alaska working with fresh fish and covering for vacationing Sous-Chefs, Trew transferred to a restaurant in Cincinnati, where he became a Sous-Chef in his own right. There he was promoted to Executive Chef and transferred to Indianapolis. After rising through the ranks of a corporate kitchen, he began dreaming of a kitchen of his own. Leaving the corporate world, Trew returned to Cincinnati focused on finding the right kitchen to utilize his skills and on making great food. 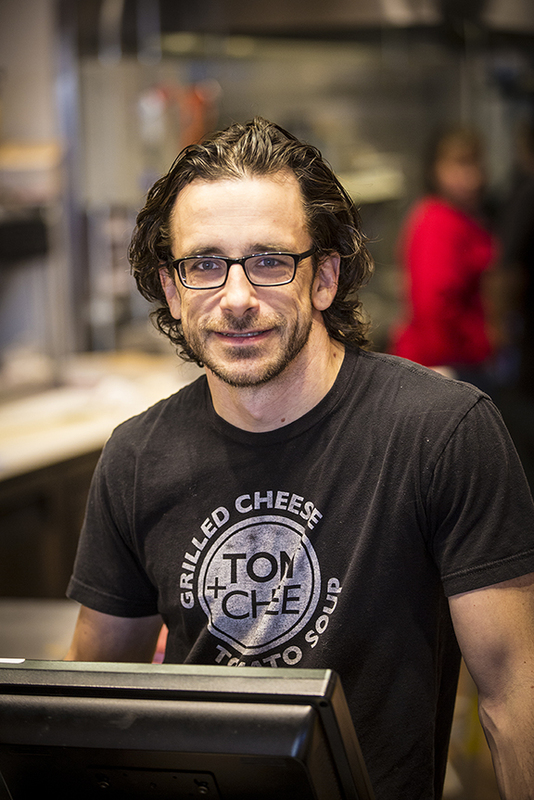 In charge of Tom+Chee’s marketing and branding, founder Corey Ward is a lifelong entrepreneur who brings an art, design, and pop culture background to the company. Growing up on a farm outside Cincinnati, Corey began his entrepreneurial journey in sixth grade, going door-to-door selling hand-painted pumpkins. In high school, Corey taught art classes to earn money to rent a studio space so he could focus on his passion, comic books. Through high school and college, Corey traveled across the Midwest trying to break into the comic book industry, eventually landing a job as a colorist. Corey followed his comic book dreams to California, working for Jim Lee at Wildstorm Productions. He then returned to Cincinnati, where he was art director for an apparel and design company whose clients included Warner Bros., Cartoon Network and Phish where Corey was the first outside designer allowed to “officially” design for the band.